Cathleen Cockin runs hers own business Little Miss Electrical in Huddersfield. She trained to become an electrician while working in an office as a legal executive. She has since switched to working in the trades full-time and hasn’t looked back. Earlier this year, she got in touch with NICEIC asking for an extra helping hand in her career. “I got into property development with my partner. He suggested that I train as an electrician so that I could re-wire our properties. “I really enjoyed it, I loved being out on site and it certainly beats being stuck in an office all day. 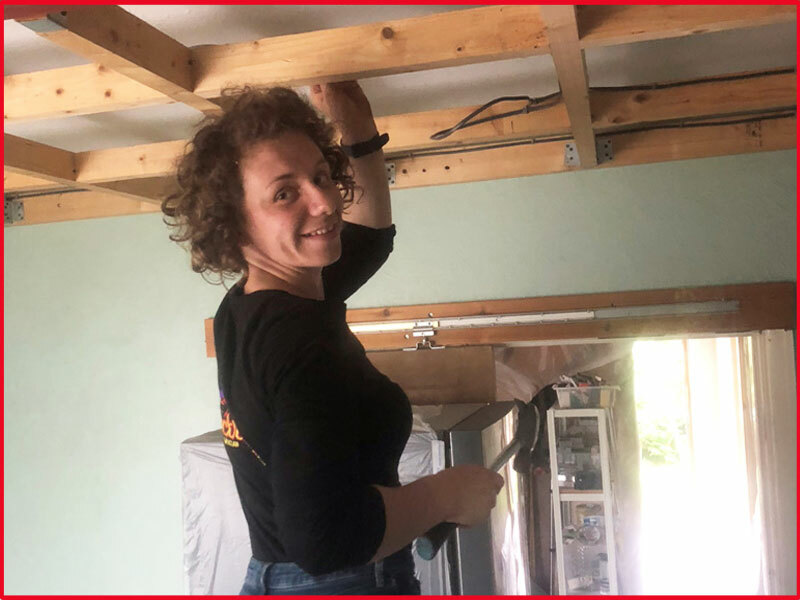 “I qualified as a domestic electrician, but I wanted to be able to offer Electrical Installation Condition reports (EICRs) to landlords and estate agents. At the time, I did not have the right qualifications. “I got in touch with NICEIC as I was aware of its campaign to support women in the industry. It was a bit of a cheeky request, but they were only too willing to help. “I couldn’t quite believe it when they offered to put me on their Inspection & Testing Course. “With the electrical industry being such a male-dominated industry, I was nervous about going into it. “I thought I wouldn’t fit in because I’m a girl. My husband, who’s a plasterer, even made a few comments about girls being on site. “I’ve never been one to let other people’s opinions stop me doing what I want, so I just cracked on with it. I got the total opposite response. “Yes, there were a few narrow-minded comments here and there, but the majority of people on the course said how refreshing it was to see a girl for a change. “I’ve got so much positive feedback and support from everyone. Customers, wholesalers, training centre, friends and family are all so kind and supportive. “It makes such a big difference knowing people are behind me in what I do. They really want me to do well. “What I love about this industry is that there is always an opportunity to learn new skills. I get such a buzz on working on a job, powering it up and having it actually work. “Working as a Legal Executive didn’t offer that much in terms of excitement and thrill. Handing over the keys to a new property wasn’t as exciting as re-wiring a house, or even powering up an outdoor light. “Now that I am qualified to complete EICRs, my next plan is to get my head around data cabling, smart home systems and alarms. After that, I’d like to take on a few more apprentices. For more information, visit: https://www.niceic.com/jobsforthegirls.